JUST REDUCED & PRICED TO SELL! 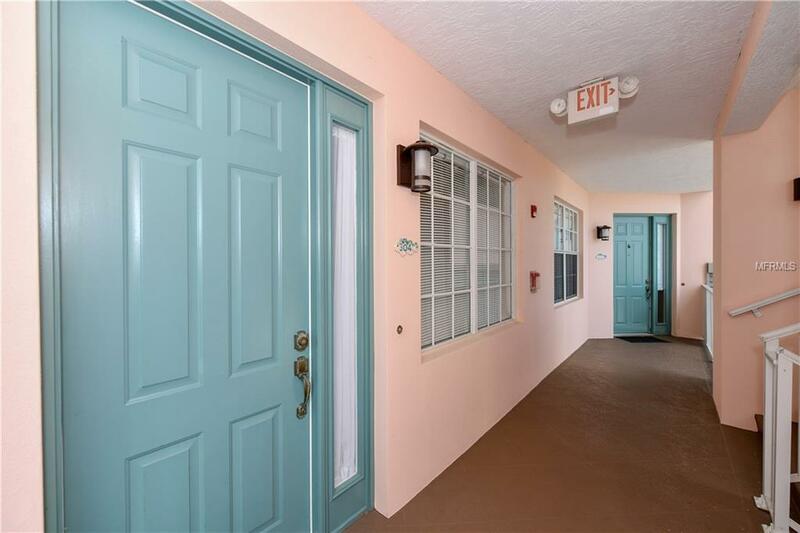 ***WATERFRONT - 3RD FLOOR - 2 BEDROOM/2 BATH W/DEN IS TURNKEY & MOVE-IN READY*** Well maintained, furnished unit with private enclosed garage, located in a gated, waterfront well established community overlooking Gasparilla Sound. You'll never tire of the spectacular gulf sunsets as you relax in this open floor plan. 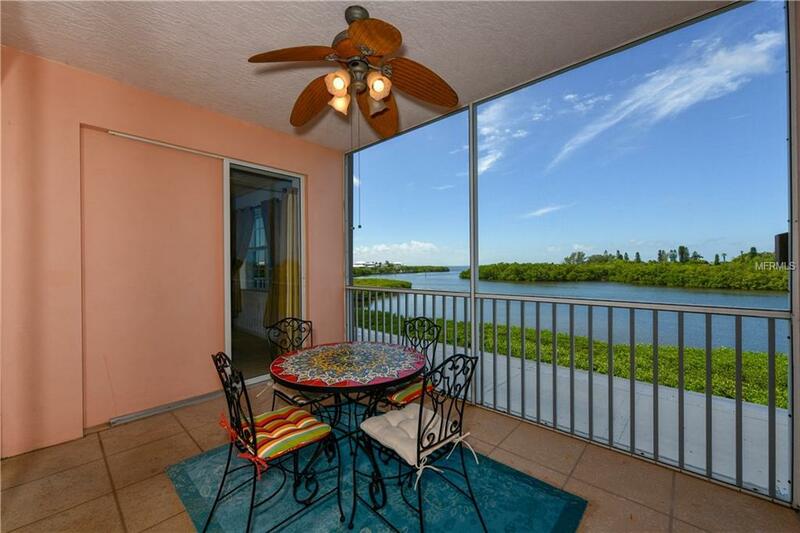 The spacious owner's suite offers water views and access to the tiled lanai. Enjoy the living area with it's natural light & tasteful, neutral decor. The kitchen offers a newer refrigerator, small sitting area and large closet pantry. No worries as to where to put your boat, there is a full service, deep water Marina right next door along with a waterside grill. 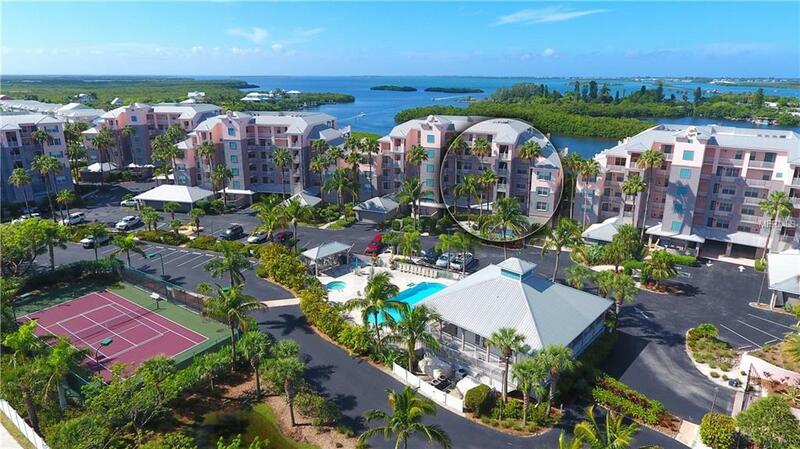 You can relax at the heated pool, play tennis, launch your kayak, ride/walk or jog at the nearby Cape Haze Pioneer Trail or just enjoy a cocktail on your own screened lanai. 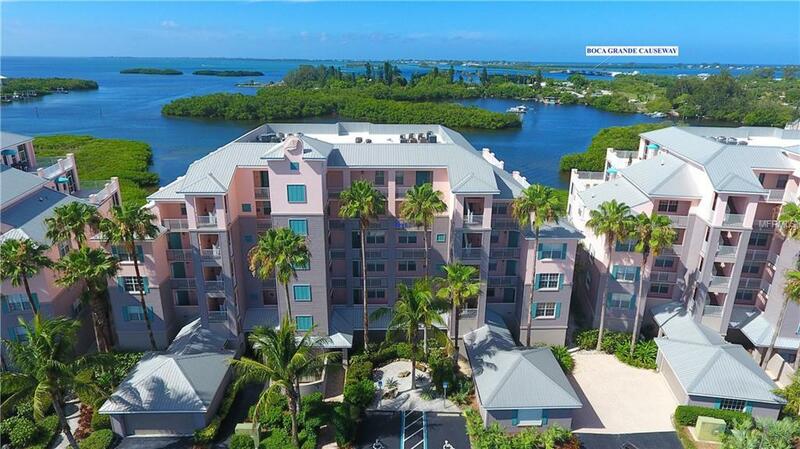 Boca Grande is just minutes away with it's gorgeous beach, shopping and restaurants. THIS IS COASTAL LIVING, COME LIVE YOUR DREAM! Additional Lease Restrictions See Restrictions.